It’s the fourth day of our #HoHoDodo Christmas giveaway! 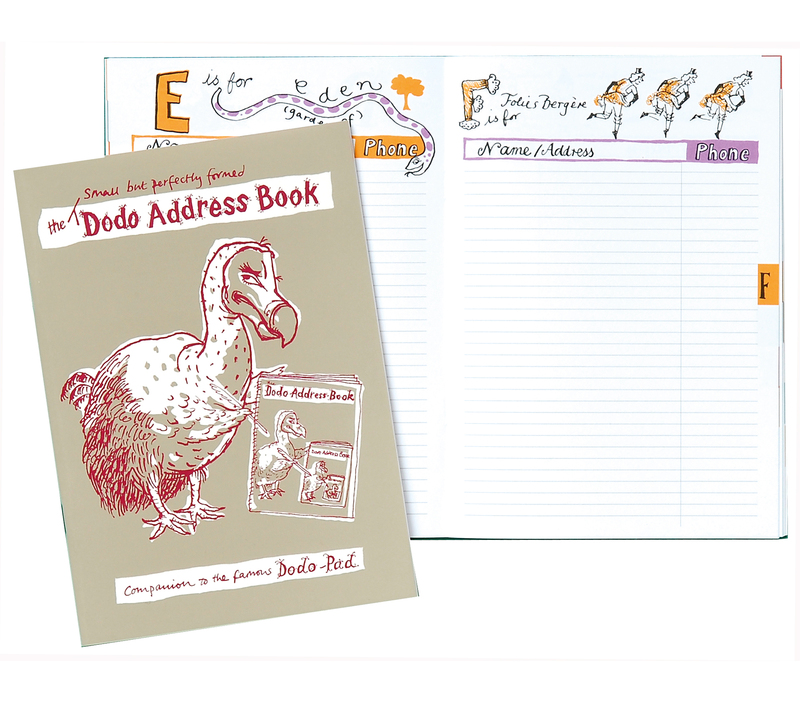 Today we’re giving away a Slimline Dodo Address Book, a handy place to log all your contacts; it slots into a Dodo Pad Desk Diary or Wall Pad Calendar perfectly! To win this fabulous prize, all you have to do is comment below, telling us in no more than 25 words: WHO IS THE FIRST PERSON YOU’D JOT DOWN IN YOUR ADDRESS BOOK AND WHY? We’ll pick our favourite and publish it over on our Facebook and Twitter pages tomorrow, so ‘Like’ and ‘Follow’ us (if you don’t already!) and keep your eyes open for the winner. Don’t forget to visit again tomorrow for a new question and another chance to win one of our favourite Dodo Pad products. Good Luck! My parents. They’ve moved 3 times this year and I just can’t keep up with remembering their change of address. As daft as it might sound even though my granda’s been gone 11 years it would be him. He might not be here with me but he’ll always be a huge part of my life. My friend Foxo, real name Emily Attwood. She gets the honour of first name in my address book as her name begins with ‘A’ but in fact she will be written in under ‘F’ for Foxo, clever fox. Ancient Auntie Aida from Aberdeen is usually first. She married a Smith but will always by an ‘a’ to me. The guy who fixes my car – it goes there more than it’s on my drive!